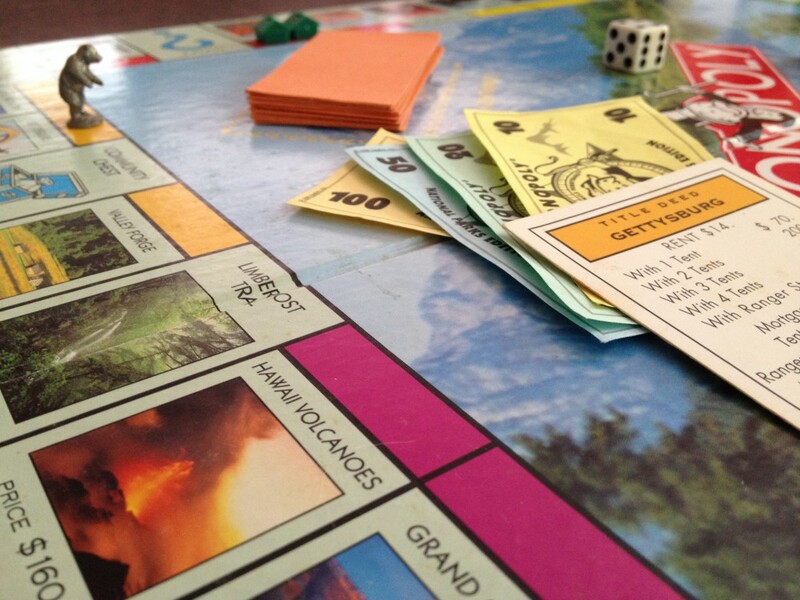 Before our kids could read, they could play Monopoly. Recognizing the properties by their colors and learning to count the money, they loved to play, especially my oldest, quickly learning to bargain with other players and create his own monopolies. We never played the Monopoly Junior version. Instead, we played National Parks Monopoly, where Yosemite replaces Park Place and Yellowstone takes over the Boardwalk. With my canoe, bear, tent, or ranger hat token, I traveled around the board, from national park to trail to national monument, paying $75 to eat dinner at Yosemite’s Ahwahnee Lodge or becoming park ranger of the year. Although equivalent to the least expensive dark purple properties, I couldn’t resist buying Mount Rushmore, but I always hoped to be the first to land on the magenta properties of Hawaii Volcanoes, the Grand Canyon, and Glacier Bay. Playing National Parks Monopoly is always an adventure. Once I stepped on a cactus at Saguaro National Park. Another time I got caught looting an archaeological dig and had to go to jail. But when I discovered fossils at Agate Fossil Beds, I got out of jail free. So when our family was planning a drive from Colorado to South Dakota, we were excited to find Agate Fossil Beds National Monument, one of the red properties on our Monopoly game, located in the northwest corner of Nebraska. With only a slight detour, we spent a morning exploring the park. 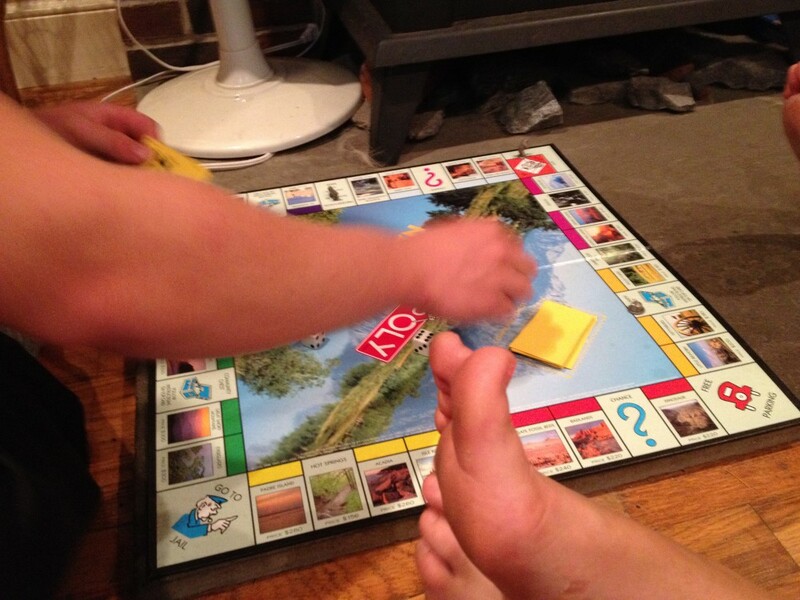 When we returned from our trip, we played the game with a renewed interest. Over the years, I’ve visited only 12 of the 27 properties on our Monopoly game board, but the places I haven’t been still intrigue me: the Everglades, Isle Royale, Mesa Verde, the Limberlost Trail. Which park, or which property, should I explore next? 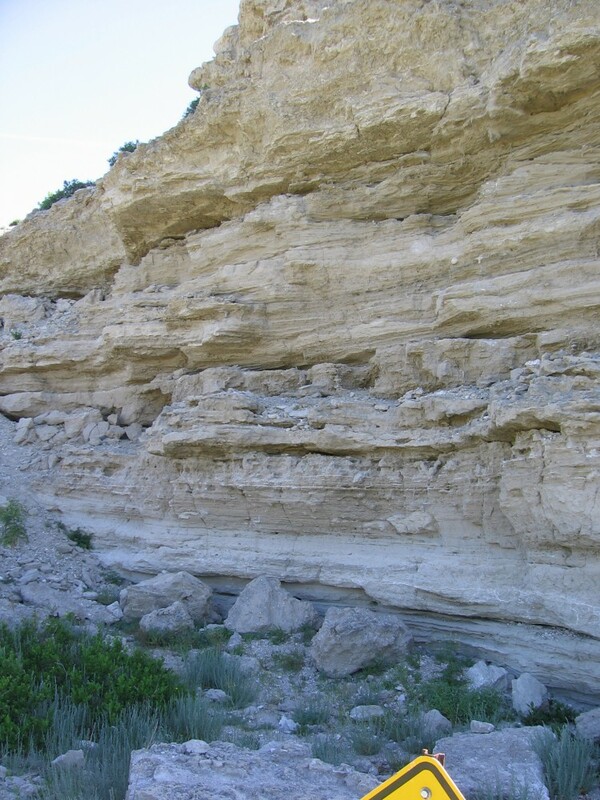 Trip to Agate Fossil Beds National Monument taken in 2005. Armchair Travel, National Parks, Nebraska, Road Trips, U.S.
Nice Tara!! Well done. Very interesting!